The NBA has taken a back seat as of late, and with good reason, as the NFL season hits full stride. But it’s tough to forget — this year is easily one of the most anticipated NBA seasons in recent memory, if not ever. And while I haven’t caught much of the Lakers yet this season, they are undefeated. The Celtics have looked very impressive, led by the play of Rajon Rondo, and have shown incredible depth. Which brings us to the newcomers on the block — the Miami Heat. I’ve now watched them play the Celtics twice, and the growing pains are very evident. Last night’s 112-107 victory was not nearly as close as the score suggests. Ray Allen dropped 35 points and was 7-7 from behind the arc at one point, equaling Lebron’s point total for the game. Rondo had 16 assists and an incredible dunk (shown above), and both Paul Pierce and Kevin Garnett had good games. In other words, the Celtics were clicking on all cylinders. Lebron’s 35 points aside, Dwayne Wade had 8 points and Chris Bosh played poorly. Since Lebron’s trade to Miami, I have been one of the few who whole-heartedly and without hesitation bought into the Heat. I think they will learn to click, and I think they will be a major force in the league. I’m sticking by that. But at this point, I think they need to take a page out of the Celtic’s playbook. I see Lebron playing much as he did in Cleveland — the offense seems to be running almost completely through him at this point. He had 35 points, great, but Wade had 8 and Bosh mine as well have not been on the floor. This team needs to learn to let a new star step up each night — they need to learn to feed the hot hand. And many nights that might not be any of the big 3, but rather a role player who is left wide open. We’ll see if the Heat can get it together — I’m sure they will. But for right now, it certainly looks like we are steering towards another Celtics-Lakers NBA Finals. And God knows I’m good with that. The NFL’s preseason is officially underway and baseball is in its final regular season stretch, yet I find myself primarily intrigued by the NBA – basketball hasn’t managed to disappear this offseason. This summer will go down as one of the more wild and significant off-seasons in the league’s history. Numerous perennial all stars and franchise players changed teams to drastically shift the NBA’s balance of power. Specifically, the Eastern Conference got much stronger. Chicago has gone from a low playoff seed to a championship contender with the acquisitions of Carlos Boozer, Kyle Korver, Ronnie Brewer (basically half of the 2009 Utah Jazz), and CJ Watson. They already had a great core with Derrick Rose, Joakim Noah, and Taj Gibson — now they have another beast inside, shooters/perimeter defenders to compliment them, and a new coach in Tom Thibodeau — who in my opinion has the best defensive mind in the game. Milwaukee had a tremendous year last year considering everyone’s expectations for them. They ended up a six seed and played extremely well against Atlanta. Brandon Jennings has the potential to be a top 5 point guard in the next few years; the Bucks resigned John Salmons, traded for Corey Maggette, and drafted a huge sleeper in my eyes in Larry Sanders. If Andrew Bogut comes back healthy and playing at the level he was last year (a top 5 center), the Bucks will continue on their path of improvement and could easily sneak out of the 1st round of playoffs. The Knicks are also a team that greatly improved. Their starting lineup last year looked something like this: Toney Douglas, Wilson Chandler, Tracy McGrady, Danillo Gallinari, and David Lee. Now, it’s probably going to look more like this: Raymond Felton, Wilson Chandler/Roger Mason, Danilo Gallinari, Anthony Randolph, and Amare Stoudemire. With Amare, Randolph, and Felton coming in, the Knicks have a new look of veteran players that aren’t past their prime and still have a lot left in the tank. They also have depth with guys like Toney Douglas, Ronny Turiaf, and Bill Walker coming off the bench. While they’re not seriously going to contend for a title, they made good moves this summer and have put themselves in a position to get into the playoffs and make another splash in the free agency market next summer (Carmelo?). When it really comes down to it, the NBA only has three teams in each conference with any legitimate chance of making the finals. In the East, its Miami, Boston, and Orlando. In the West, it’s the Lakers, Thunder, and Mavericks. Orlando still has the best interior defender in the league and has surrounded Mr. Howard with tons of perimeter shooters to help run their inside-out offensive game plan. It has worked quite well for them the last few years, however they just don’t seem to have enough consistency with their outside shot (what 3-point shooting team really does?) as they have fallen to the Lakers and Celtics respectively. Vince Carter also completely disappeared in the playoffs last year, and for a guy who makes over $16 million a year, you just can’t expect to win it all when your secondary option on offense falls apart when you need him the most. Boston has a very similar look to last year with the return of all five of their starters, yet their bench will have a very different look. You can tell their focus was on bolstering up their frontcourt with the signings of Jermaine O’Neal and Shaq due to the serious knee injury Kendrick Perkins suffered in game 6 of the Finals. However, I think the loss of Tony Allen is much bigger than it may seem right now. I watched this guy give LeBron the hardest time he may have ever experienced on a basketball court in the 2nd round this year. It was actually really fun to watch how well Tony Allen was able to stay in front of LeBron and deny his ability to get to the line, which he tried to do even more than usual due to his “injured” elbow. Allen also did a solid job making life much more difficult on Kobe than most wing defenders are capable of. The Celtics are hoping young rookie Avery Bradley will be their backup two-guard who can come in and replace Tony Allen’s defensive-minded approach off the bench. In that respect, he has some large shoes to fill. The Heat have gotten a ton of attention this summer, and rightfully so. They went from irrelevant to having 2 top 5 players in the league and arguably 3 of the top 10. I find it hard to imagine them struggling in the regular season, but when the playoffs come around, injuries affect everyone and players’ true colors always shine brightest. The Heat represent a “wait and see” championship contender for me. If one of the big three goes down or is half the player he can be because of an injury (especially Chris Bosh), their chances decrease much more drastically than other teams like Boston and LA, who have serious depth off the bench. The Thunder have the best young core of players in the NBA. I truly believe they will be a top 4 seed in the West this year and they’re only going to continue to get better. Kevin Durant is a superstar, Russell Westbrook is a consistent jump shot away from being a star, Jeff Green is a great third option, and James Harden’s role and impact are going to increase. The Thunder also showed a level of effort last year that I haven’t seen from a team in a long time. I really don’t see any team but the Lakers giving them serious problems for the next few years. The Mavericks on paper look pretty crazy. Kidd, Marion, Nowitzki, Butler, Haywood, Chandler, and Beaubois. I see the Mavericks having another successful regular season, yet even with all that talent, I cant see them beating the Lakers (or even the Thunder) in a 7 game series that they probably wont have home court advantage in. Their level of talent and established veteran roster still keep them relevant in the discussion. Last, but certainly not least, we have the Lakers. I know its going to come off as being a homer, but I still think the Lakers are the best team in the NBA. They still have the best player in the game, the best starting frontcourt in the game in Gasol & Bynum, a top 3 perimeter defender in Ron Artest, a clutch performer in Derek Fisher, and the greatest coach of all-time in Phil Jackson. Oh, and they got better this summer too. They added Steve Blake, Matt Barnes (who was a starting SF on a 59 win team last year – he’ll be the 8th man on this team? ), and don’t forget Lamar Odom (a member of Team USA this year). Both on paper, and considering they are back-to-back defending champions, you can’t really dethrone the champs just yet. 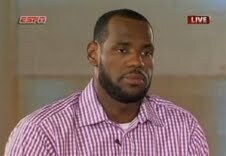 PREDICTION: Heat vs. Lakers Finals, Lakers win in 6 games. The NBA has wanted LeBron in the finals these past three seasons and now that he joined Wade’s team in Miami, they finally just might get their wish (and no way he gets swept out of the finals again, not that I would mind that). A final thought – I couldn’t help but notice the past few weeks that Shaquille O’Neal, Allen Iverson, and Tracy McGrady were all having an extremely difficult time finding a job and all weren’t considered the top free agent available. For the first time in my life, I feel old. As much as everyone’s “sources” were saying LeBron was going to Miami, I thought the chances of it actually happening were slim-to-none. Maybe it’s because I’m a Lakers fan or because I’m not a LeBron James fan, but this entire free agency process made me like him even less. I used to believe Lebron had something of a mental foundation in place, at least a teaspoon of that “killer” in him that we see from guys like Kobe Bryant and Kevin Garnett. The type of mentality that wills those around you to put forth effort they might not have thought they had in them. Before the Boston series this year and last night’s announcement, I thought LeBron had enough of that in him to be able to be the primary leader of a team. I was proven wrong when a mentally tougher Boston team took it to Lebron, who seemed disinterested in key stretches of the games. 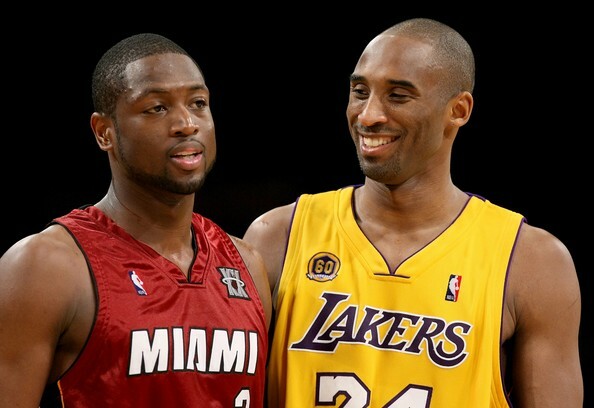 Now we see Lebron leaving his leadership role and his hometown to hit up Miami with D-Wade – a team with two proven stars and one in Dwyane Wade who, in my opinion, is most comparable to Kobe Bryant in terms of displaying that “killer” mentality. It may seem like I’m knocking LeBron’s game. That couldn’t be farther from how I feel. He is the most incredible combination of size, speed, strength, and basketball skill that the league has ever seen. He’s the fastest and strongest guy in the NBA. It’s pretty insane to think about. I mean, he does seem to just bulrush the lane hoping to get an And-1 a lot, but it’s a smart call to make considering his size and speed even if its pretty terrible basketball to watch. Many like to say, “Well Magic had Kareem and Worthy, Bird had McHale and Parish, Jordan had Pippen, Horace Grant and Rodman, and Kobe had Shaq” – but we can’t look at Lebron in the same light as Magic, Bird, Jordan, and Kobe anymore. Those guys never gave up their primary role to co-lead with others on a different team. Those four were born leaders; they weren’t forced into the role due to their overwhelming talent. I don’t blame LeBron. That type of role is an incredibly difficult role to play. It’s one you can’t force upon someone – it has to come naturally. Mr. James just isn’t that player — and therefore can’t be included in the type of discussions the legendary figures above are in. So now to the state of the league. Call me a homer all you want, the Lakers are still the team to beat. Period. Even without knowing the rest of the Heat’s new roster. I also still like the Celtics and semi-like the Magic over the Heat coming out of the east, but that could change with news that Mike Miller is going to be signing with the Heat and I’m sure a few other above average role players are soon to follow. I feel like the Celtics will follow a similar path leading to a deep run into the playoffs as they did last year. They will have multiple bumps in the road during the regular season and will go through stretches where they seem to be a bit disinterested in regular season action — but they are a veteran team and know how to turn it on come playoff time. Also, from personal experience, teams come out crazy-determined the year following a Finals loss and the Celtics have retained their core players. Next year is going to be a blast to watch. I’m only three weeks off of a finals victory and I can’t wait for next year already. October can’t come soon enough. Let me start this post by directing your attention to the title of this post. Let’s make one thing clear — the names Michael Jordan and Kobe Bryant don’t belong in the same sentence. I initially thought that the problem with the Celtics losing the NBA Finals was that, well, the Celtics lost the NBA Finals. But in the few days since that loss, I have quickly come to realize that there is another horrible consequence of the loss — the Michael Jordan. Versus Kobe Bryant comparison is now happening even more than ever. With Michael having 6 NBA Championships and Kobe just capturing his 5th, of course I see why this comparison is happening. Those are the most important numbers, no doubt about. Let’s also take a look at some other stats. While Kobe still has some seasons left in him, both players have played roughly 14 seasons at present. You’d have to say advantage to Jordan here as well, although these numbers aren’t super important to this argument. Many critics will then look to aspects of the players such as mental toughness, competitiveness, and drive. Let’s face it — both of these guys are proven closers and heartless competitors. They are both tough as nails. But I’d still give the edge to Jordan. Perhaps the most overlooked argument in this comparison is the fact that Bryant won three of his NBA Championships with Shaq on his team — arguably the most dominant center of all time. 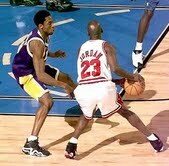 Jordan never played with anybody even close to Shaq’s caliber, let alone a dominant center. But to me, the argument really comes down to this. Imagine if you could step into the body of both players and feel what it would be like to be them. Sure, Kobe will have some awesome drives and make some impossibly tough shots. But the things that Jordan would do would feel that much more spectacular. 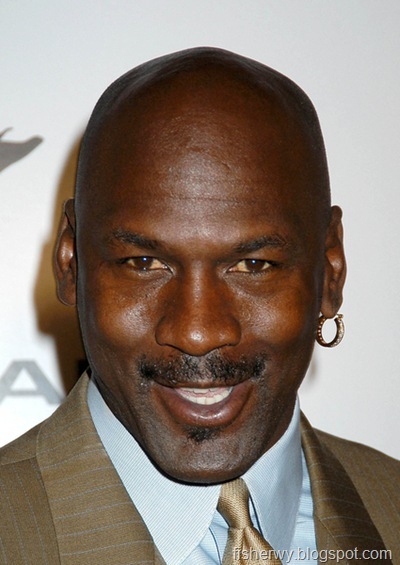 Jordan is the only guy I know who can make an earring look cool. Plus, his shoes are better and he’s boys with Tiger. 1) Stay out of foul trouble. If the Celtics are going to win game 6, it’s going to be in a close game — and they are going to need to be able to play free. 2) Establish Paul Pierce as a scorer early. If I was Doc, I’d tell him to go out super aggressive ala game 5. If he’s scoring, he opens up opportunities for everybody else. 3) Do what you’ve been doing on Kobe Bryant — make it tough as hell for him. If he’s going to beat you, he better be making high-degree of difficulty shots. 4) Try to get an early lead — make ’em panic by putting their back up against the wall. If the Celts can do this (a tall order), #18 will be in the books. With their win last night, the Phoenix Suns evened their series with the Los Angeles Lakers. How good are the Suns? Do they have any shot?